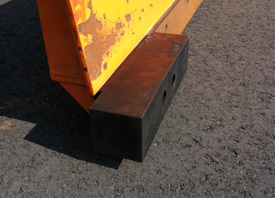 Our long-lasting Tundra Tamer™ urethane curb saver blocks retrofit your plow trucks’ steel or tungsten curb guards. When tested in an area with high snowfall in the northern Upper Peninsula of Michigan, the curb saver blocks are lasting 1-2 seasons. 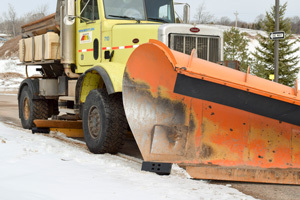 Protects plow from damage and increased maintenance. Standard block sizes are 15” x 4” x 4” and 15” x 4” x 6”.